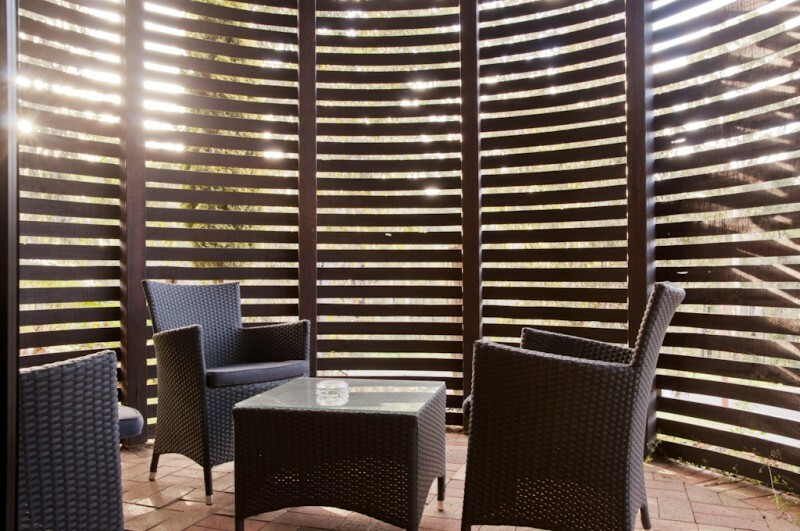 You know you are in the heart of Karri country when you relax within the rammed earth and natural timber. 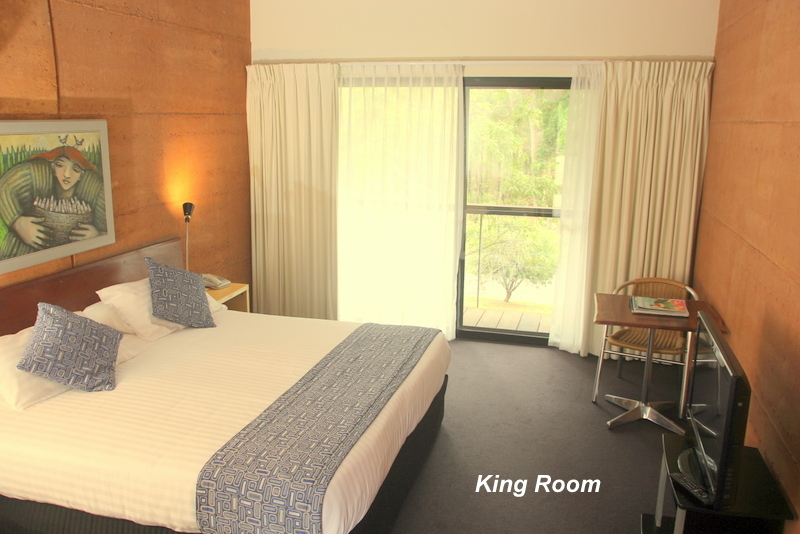 of the Pemberton Hotel, Most units have balconies overlooking Pemberton's Jarrah, Redgum and Karri town park. 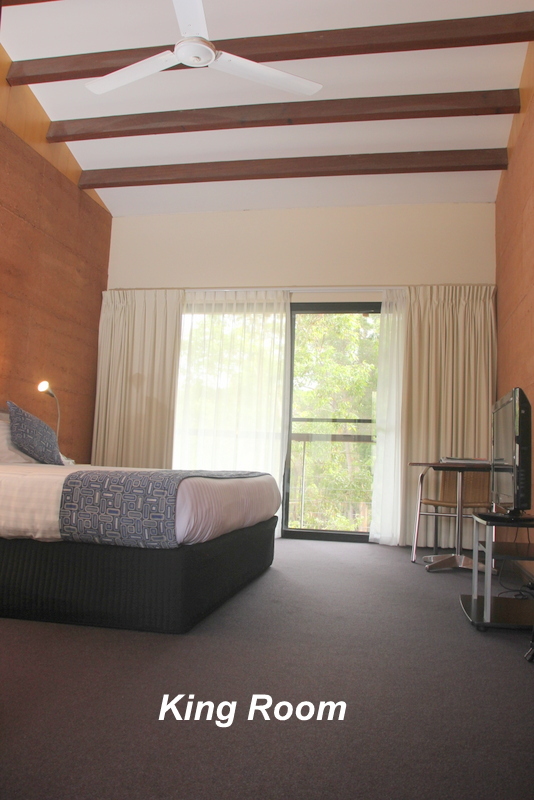 Our rooms hint of Australian character while providing the sort of modern amenities expected in a three and a half star facility. There are 30 motel units including 2 deluxe suites, 2 family rooms and 2 rooms with facilities for the disabled. 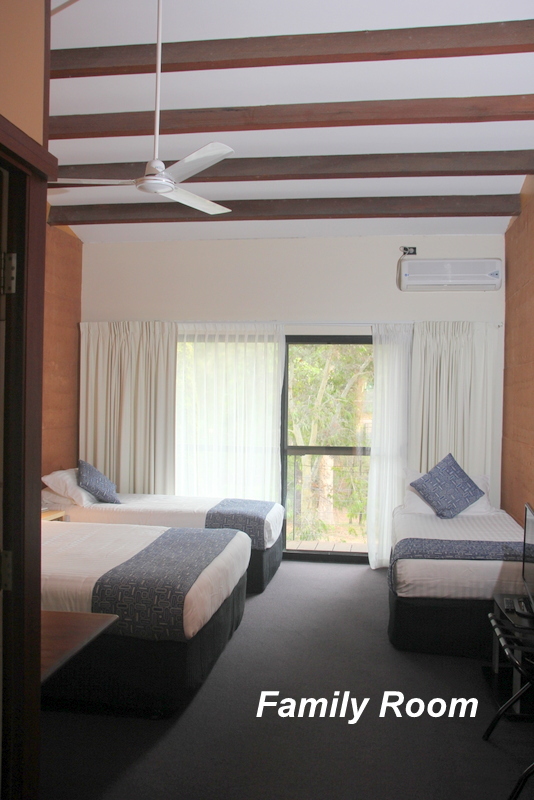 All rooms have reverse cycle air-conditioning, overhead fans, tea/coffee making facilities and ensuites. 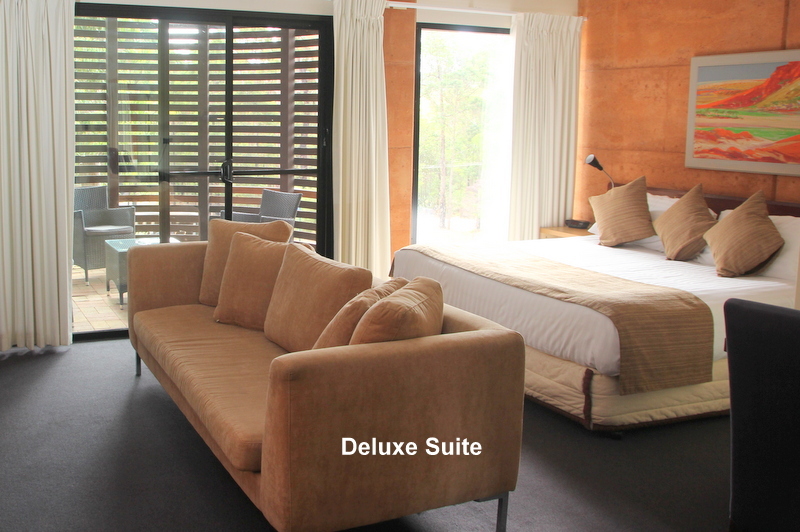 The deluxe suite has one king bed. A bottle of local wine and chocolates on arrival and country style cooked breakfasts in the morning are all part of the tariff.Designed for a couple looking for something special, but also for the corporate traveller needing a more spacious room. The family room has a queen size bed and two single beds. Designed for 2 adults and 2 children happy to share the one room. 1 king size bed, perfect for a couple travelling together or a single person who prefers a larger bed. Rooms with a queen bed and single are all situated on the ground floor. 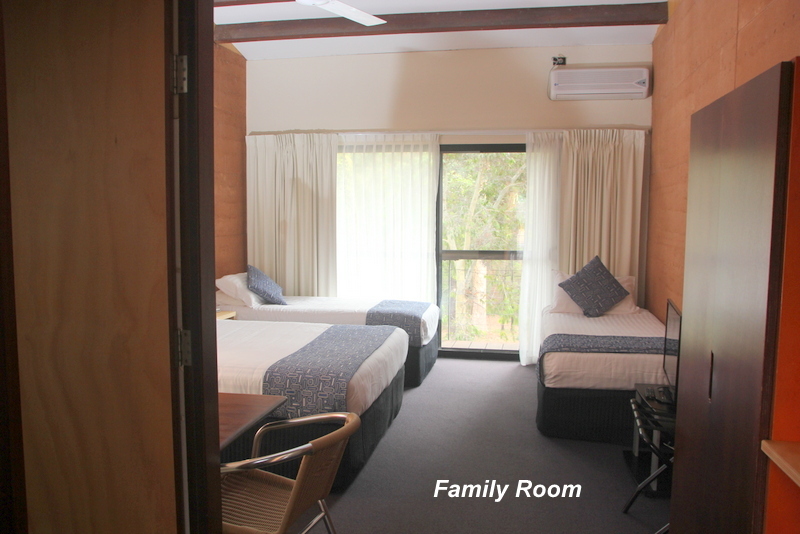 The room can be used for either two or three people. 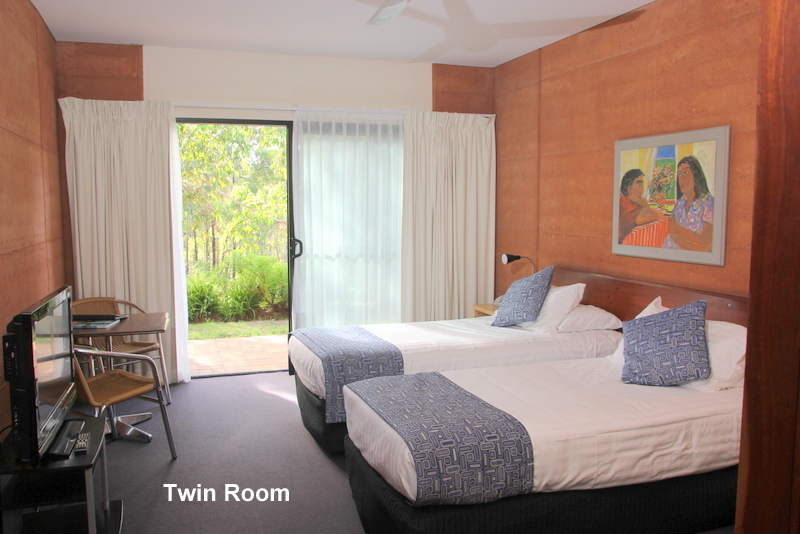 Travelling with a friend, but don't want to share a bed, then choose a twin room which have two single beds. Do you need three beds? Then this is the room for you.